We’ve used Business Design to help enterprises of all sizes and across many sectors tackle a variety of challenges. Identify opportunities for your enterprise to become more poised and equipped to innovate through Vuka’s profiling platform. Engage your team through the 3 Gears of Business Design to design a human-centered vision and strategy to win. Solve a tough challenge through a co-creation project that engages the business team from conception through to strategy and activation. Identify and develop innovation opportunities through a series of skill-building workshops tailored to your needs. Identify new opportunities to meet unmet needs through a deeper and more holistic understanding of the people that matter to your enterprise and what matters to them. 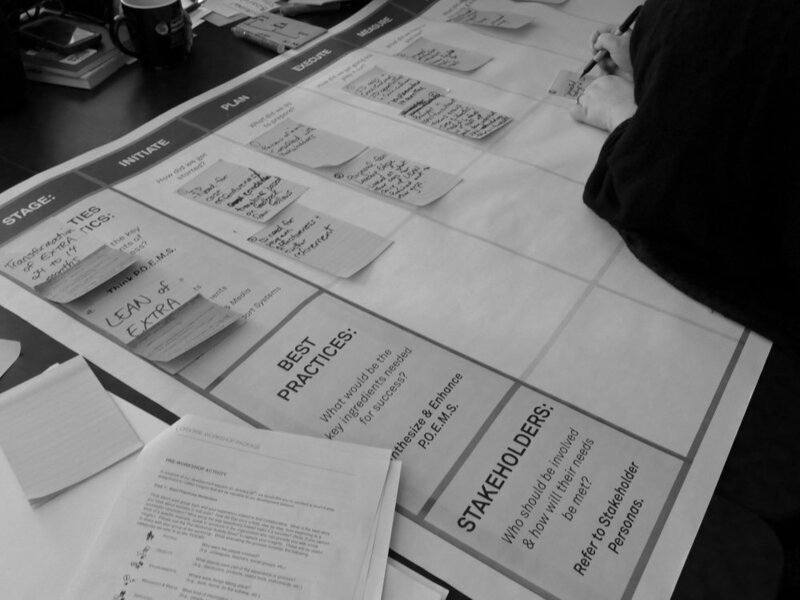 Co-design a customized innovation process to enhance your innovation culture and practices. Build your capacity to innovate through knowledge and skill-building programs. Heather has delivered speeches internationally on innovation relating to business, healthcare, organization engagement and education. Invite Heather to inspire your team members or all employees to solve challenges in new ways.